This is the story of a young witch, named Kiki who is now thirteen years old. But she is still a little green and plenty headstrong, but also resourceful, imaginative, and determined. With her trusty wisp of a talking cat named Jiji by her side she's ready to take on the world, or at least the quaintly European seaside village she's chosen as her new home. 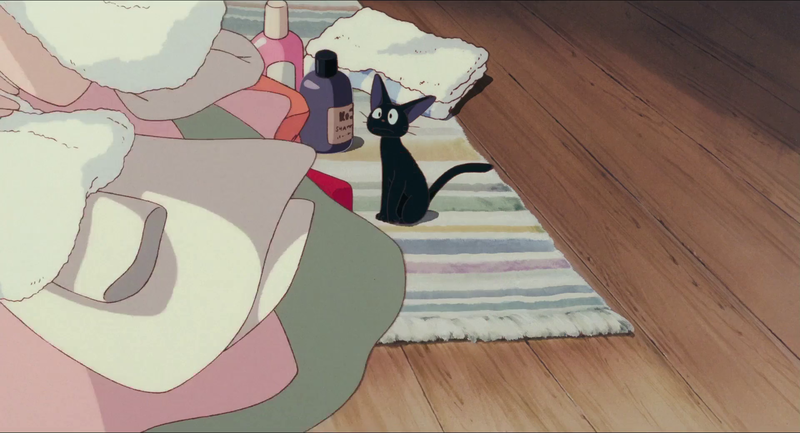 Kiki's Delivery Service is my favorite move. I have seen it at least 10times and I laughed and cried each time. The animation by Hayao Miyazaki iswonderful, as always. The flying scenes and scenery of the genericEuropeancity are totally convincing. I think I really got a feeling of what itwould be like to fly in on a broom over and through a European city. Ineach city scene, I feel like it is some place I have visited in my trips toEurope.<br><br>What I really appreciate about this movie is the simplicity of thecharacters and the plot. There are no robots, no psychotic megalomaniacs,no monsters, no superheros, no bratty smarty kids that are smarter thanadults, no evil moron adults, and no fight scenes. No one is kidnapped orseriously injured. 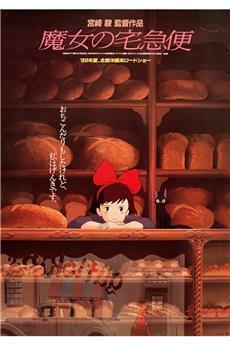 Even though the movie a about a witch, the onlysupernatural acts in the movie are Kiki flying on a broom and talking tohercat.<br><br>The movie is about a young girl witch who leaves home with her cat Jiji,moves to a new town, and starts a delivery service. In her business shehassome adventures and meets mostly nice people who help her out. In theprocess she meets a boy named Tombo. Tombo does not have any specialpowers. He is just a nerdy guy who is trying to build a bicycle that canfly. Tombo gets in to some trouble and Kiki helps himout.<br><br>That sounds very dull, but by avoiding the supernatural and monsters, thestory is much more easy to relate to. It is a story about leaving home andstarting anew, meeting people, helping people, and have people help youwhenyou get into trouble. It is very upbeat, even when things look bleak,theywork out with a little help from friends.I liked Tombo's problems trying to be friends with Kiki because they seemlike the problems people really have. One of the most beautiful scenes inthe movie is Tombo silently waiting in the rain for Kiki who never showsup.<br><br>This movie is full of silent beauty. When the baker's wife invites Kikitomove in above the bakery, you get the impression that the gruff but silenthusband does not care for Kiki. But in a later scene you see that he hasbaked a loaf of bread shaped like a girl riding a broom and mounted it inthe bakery window. Nothing is ever said about it, but you see how heappreciates her.<br><br>I have both the dubbed and subtitled version of the movie. They are bothgreat. This movie is one of the best dubbed I have seen. The dubbedversion has a lighter, funnier tone because of the wise-cracking Jiji. Ifelt I could appreciate the animation better in the dubbed version becauseIdid not have to focus on reading the subtitles. In general the voiceactingin the dubbed version is excellent. The subtitled version is also theletterbox version, so you get to see the full beauty of the animation. 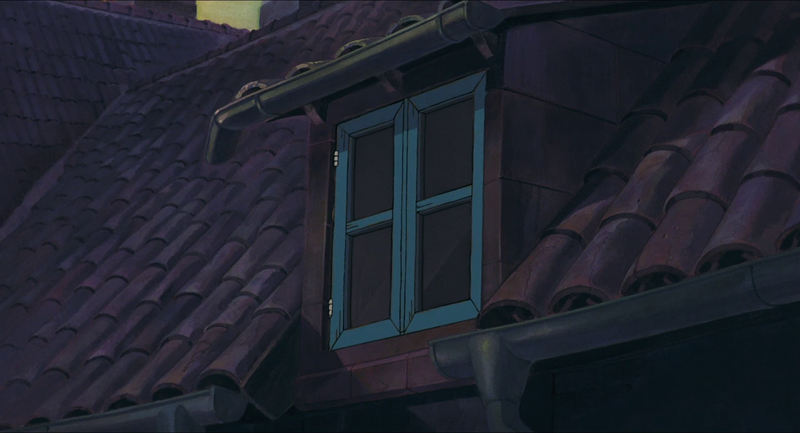 Insome of the flying scenes, Jiji is humorously complaining about the flyingconditions in the dubbed version, where the subtitled version lets yousilently appreciate the beauty of flying. Due to licensing problems thedubbed and subtitled versions have different theme songs. I think bothsongs are great. I recommend getting both versions. I kept hearing about how good this movie was, but I put off renting it forthe longest time because I dismissed it as some dumb kid's film. Boy, wasIwrong! 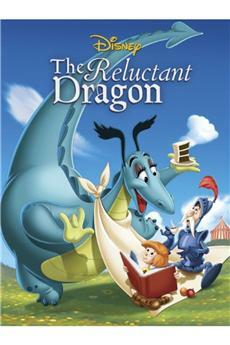 This is a movie that appeals not only to kids, but to teens andadults as well. 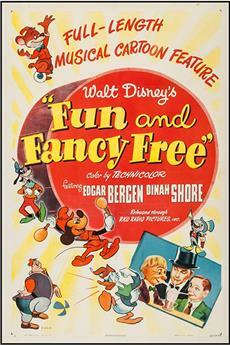 This is the kind of stuff Disney should be producingnowadays. I own my own copy now and whenever I pop it into my VCR, italwaysputs me in a good mood. 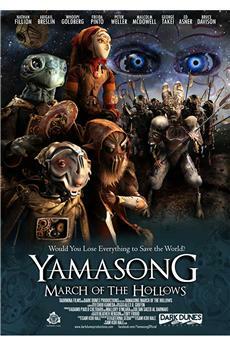 Another great Miyazaki film. A young witch, with a good heart, leavesher mom and dad on her 13th birthday with her black cat, as all witchesare supposed to do to complete her training and make it on her own. Shelooks for a city in need of a witch and finds a city near an ocean. Shemeets some other good hearted people who help her along the way.<br><br>There really isn't a villain in the movie and it's mainly a slice oflife type of film. 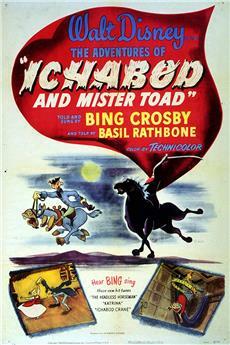 In the end of the film it all comes together and sheperforms a heroic act.<br><br>I tried to watch the dubbed version. Dunst was fine, but I justcouldn't stand Garofolo and Hartman. So set the DVD audio to theoriginal Japanese soundtrack and used English subtitles.<br><br>If you watch the dubbed version. Turn on the subtitles and you will seeall the additional dialog they added. They just couldn't help paddingtheir roles, especially Hartman.